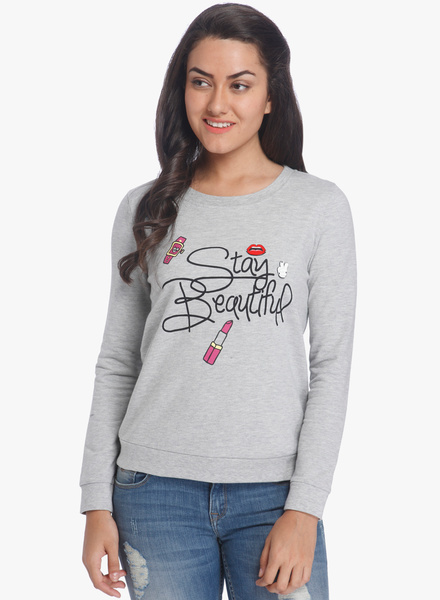 Ri(t)ch Styles : Indian Fashion, Beauty, Lifestyle and Mommyhood Blog: Get Your Sweatshirt Game ON! I am a sucker for glitter, bling and sequins and this black sequin sweatshirts screams out GLAM yet COMFY and scores the top position on my list. It is perfect to go from casual to party while keeping you snug and warm. Mint according to me is a colour that everyone loves. This sweatshirt is so soothing to the eye and will look so pretty on anyone who wears it, that it is enough reason to pick to it up. The number print on the front with the stripes on the sleeves gives it the whole varsity feel. Pair it with white sneakers and you are ready to rock the Back To School look. 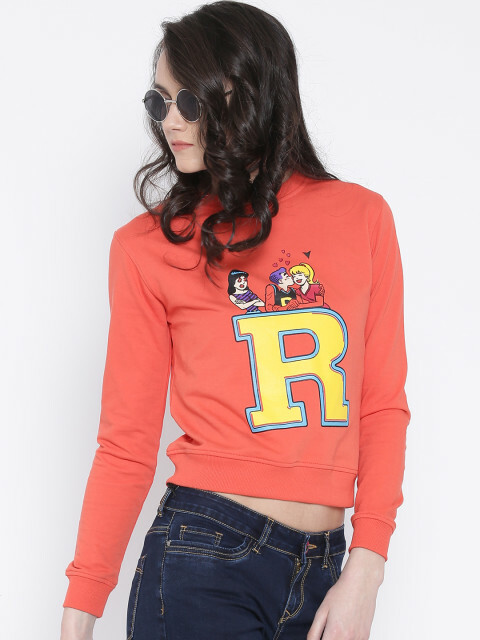 Archie Comics were a staple during my growing up years and getting my hands on this sweatshirt has been like a needle in a haystack. It is so difficult to get Archie merchandise in India and when I saw this I knew I had to have it. I love the colour and the patch, and it makes for the perfect accompaniment for high waist jeans or a jersey pencil skirt. This is what I would wear for a dinner or coffee date. Pair it with white jeans and a pair of heels and you are sure to make a pretty picture. 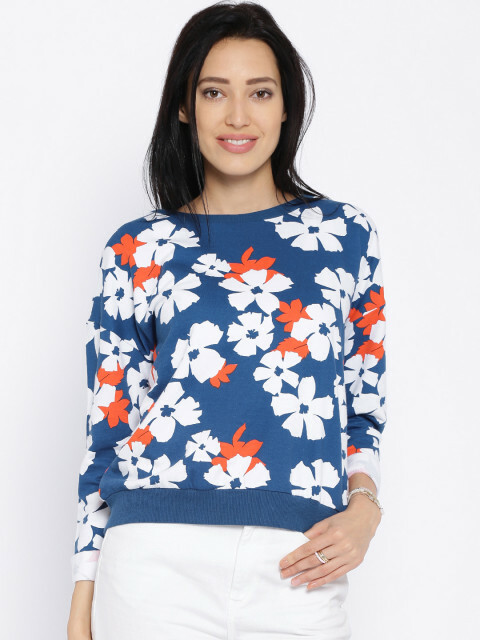 Other than the floral bit what I particularly love about this sweatshirt is the splash of orange to add colour to the look. Despite being a girl I don't have too many pinks in my wardrobe mainly because I do not think that colours have anything to do with your gender. But if I have to have one pink sweatshirt in my wardrobe then it would be this. A once upon a time sucker for video games that I was, this sweatshirt just takes me back in time to that. Well in fact, it's perfect for spending the weekend indoors playing video games. 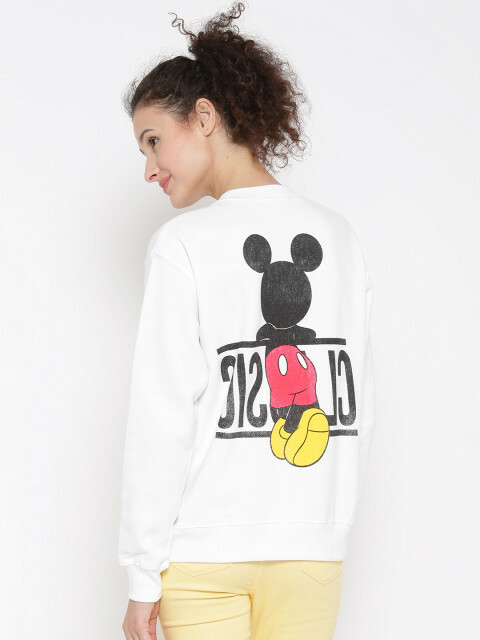 Now who doesn't love Mickey Mouse? There can't be a character more classic than Mickey Mouse and when I get the colour white and my favourite cartoon character on a sweatshirt, then it has to make its way into my wardrobe! What I found even cuter is the backside print which gives it a really unique and charming feel. I know Aryaa is going to steal this from me very soon! Nice post...love the mickey one! Me too! It is the cutest one!